A recent federal ruling is likely to give energy storage its biggest boost in years, and buoy microgrids along the way, by granting storage more access to revenue from competitive wholesale electricity markets. Issued February 15 by the Federal Energy Regulatory Commission, the rule aims to eliminate barriers that prevent energy storage from taking part in wholesale capacity, energy and ancillary services markets. This is a critical issue for the storage and microgrid industries, whose members have said that storage should be able to participate on a level playing field with generation and other resources. Grid-connected microgrids benefit from the new rule because they increasingly use energy storage as a tool to enhance project economics. In the final decision, FERC required regional transmission organizations (RTO) and independent system operators (ISO) to revise their tariffs and create models that allow energy storage into the market. The ruling will allow microgrids to pencil out better by letting them pull in revenues from different streams, including wholesale and retail-level streams, said Kelly Speakes-Backman, CEO of the Energy Storage Association (ESA). She noted that wholesale prices ultimately affect retail prices. For the ESA, the ruling comes after two years of hard work pushing the changes. An ESA vision statement said that if regulatory barriers were removed, allowing storage to participate in wholesale and retail markets, the industry could aim for a goal of 35 GW of storage online by 2025, she said. As of 2017, the U.S. had only 0.5 GW of energy storage. “This decision had to happen in order to reach that goal,” Speakes-Backman said. The regional markets — RTOs and ISOs — operate differently and have distinct needs that storage can supply. As a small organization, ESA has a lot of work to do to address those different markets. ESA already has been talking to the California Independent System Operator and PJM, a regional transmission system operator, about using storage to provide multiple values. With the rule in place, ESA now can address specifically what those products can be and how to create them. Sammy Chu, CEO of energy consulting company Edgewise Energy, agreed that adopting the ruling will take some work. “We still need tariffs and policy adoption by local utilities to properly understand how distributed energy resource (DER) aggregators are going to be able to participate in the market and to determine the overall value proposition,” he said. In addition to removing barriers for energy storage, FERC also issued some important clarification about its use in wholesale markets. 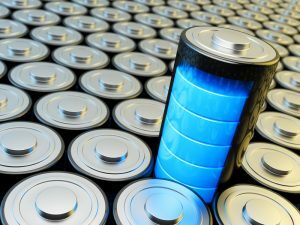 During the February 15 open meeting, FERC said in Order 842, Docket RM 16-6 that ISOs should not require that storage operators run batteries outside of the batteries’ operating range, said Speakes-Backman. FERC ruled that storage operators can identify their operating range in their applications to provide services, and that ISOs must work within those ranges. When energy storage is viewed solely as a generation resource, ISOs call for a nameplate capacity, just the way they call for nameplate capacities for more traditional types of generation, she explained. “For storage, yes there is nameplate capacity, but there is an operating range, and if you go all the way from one to the maximum capacity, it shortens the life of the battery,” she said. “Order No. 842 demonstrates a further commitment by FERC to ensuring that electric market operators effectively integrate energy storage resources onto the grid while taking account of their unique characteristics, which will serve to boost wholesale markets (and thus provide downstream relief on retail rates),” said Speakes-Backman. FERC also ruled that energy storage can provide primary frequency response while simultaneously offering other services. That means energy storage can get compensated for multiple value streams, she said. However, he said, the ISOs and RTOs still need to address many “sticky issues” with solid implementation plans. 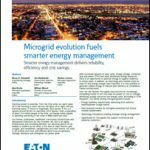 Learn more about energy storage in microgrids. Join us at Microgrid 2019 in San Diego May 14-16. Much better writing than my expression was. Always nice to read well-crafted messages. I have 9 years experience with microgrids and validating bulk storage opportunities, and this is truly a huge breakthrough that can have impacts beyond expectations.